Last time, on "Your Turn," Laurie asked you to vote on your favorite movie for 2015. This week, I would like you to vote on your favorite up and coming book cover! These books are all scheduled to be released this year--which one would you pick up first? Please vote, and we'll post results later this week. P.S. I haven't read any of these books yet, so I am not explicitly endorsing them (or not). P.P.S. If you have time, when you vote, you could also leave a comment, telling us what you look for in a book cover. For example, do you like books with people on the front, or just symbols? Do you like colorful covers, or are you more drawn to black and grey? Let us know! Labels: Book Covers, Erin, Fantasy, Your Turn! These are all beautiful, but I tend to prefer covers that include people so I'm casting my vote for The Glittering Court. I'm not very good at visualizing things so I like to go in with some sense of what the main character looks like - it helps me feel connected with them right away. Plus that cover is just especially pretty :) Fun poll! Thanks, Laurie, for explaining why you like covers with people in them! I hadn't thought of it that way! I do like the colors, and the character's expression, in Glittering Court. Thanks! 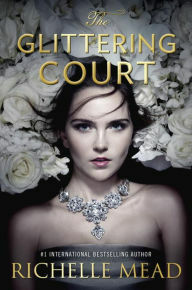 I'm going to have to go with The Glittering Court as well, though I don't always prefer covers with people in them. If Curio by Evangeline Denmark was on the list, that would definitely be my favorite for 2016. I also had the pleasure of chatting a bit with that cover designer (Kirk DouPonce) at Realm Makers last year. I prefer covers that set the tone of the novel, so the color scheme might depend on the type of novel. Since I generally prefer novels that are slightly dark, I usually prefer more muted colors, possibly with one object in a brighter color to draw our eye to its importance. I like to see movement or action in a cover, as if this was a snapshot from a moment in the book. It doesn't have to be much movement. For 2015 covers, for instance, I really liked the Red Queen cover. It has blood dripping from a crown, which is subtle movement. 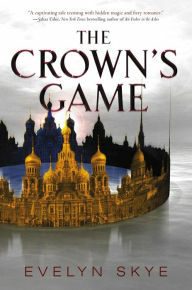 And perhaps I was biased in favor of that cover since I have a reference to an upside-down crown in my own manuscript. :) For 2016, I also like the cover for Passenger, those last two examples being some I like that don't have people in them. Thanks for that link to Barnes & Noble's article as well! It's great to see a comprehensive list of what I can look forward to this year. Thanks, Melinda! Red Queen was actually on my list for this post, until I decided to narrow the topic to 2016 titles. I haven't seen Curio, but I'll have to look it up. I love the colors in Glittering Court. And, the B&N list is fun, isn't it? I hope I have time to read most of them! Yeah, the Glass Sword cover (Red Queen's sequel that does come out in 2016) isn't as impressive to me as the original. Curio isn't on that B&N list since it's on a Christian publisher, but the cover is fantastic (imo). Great idea for a "Your Turn" post! Out of the covers above, I would have to say my favorite is The Raven King, just from the sheer beauty of it. Of course, it also piques my interest: What is up with the purple deer and all of those ravens? 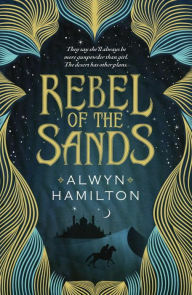 I also love the Rebel of the Sands cover. I love the Middle Eastern desert setting, especially the Medieval time period it seems to be set in, with the horseman in the front and the beautiful castle silhouette in the background. It also makes me curious about what is inside. 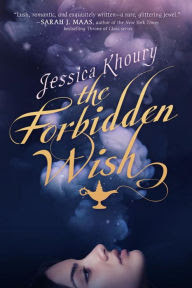 I think The Crown's Game has a neat effect, since it turned the castle into the crown itself, and The Forbidden Wish is really pretty as well. But I still like The Raven King and Rebel of the Sands best. Thanks, Hannah, for leaving such great details about why you like the covers here and what you look for in a cover. Your input helps a ton. Thanks! I tend to like book covers that do not feature images of people so I can visualize characters myself and get to know them as I read. These are all beautiful covers, but if I was deciding what to read based on the covers alone, I would be most inclined to pick up Rebel of the Sands and The Crown’s Game. They look like interesting worlds I’d want to step into, and the colors and images make me feel emotion and inspire my imagination, which is important to me. Thank you! I would love to read these ones, too. I like to imagine myself as one of the characters, which is harder to do with a person on the front. Thanks for reading! I would have to say I like the Raven King and Rebel of the Sands covers the best. They seem like fantasy novels; mysterious, exciting, and enchanting. These are three things I always want in a book. 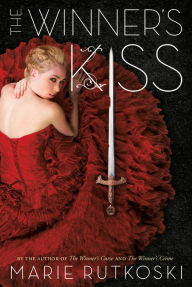 Also, The Glittering Court and The Winner's Kiss seem like romance novels, which isn't my favorite my favorite genre. Thanks, Spruce! I think the artwork in The Raven King is amazing, and Rebel of the Sands seems like such an intriguing setting! Thanks for your response, and for reading! My personal favorite is The Raven King but The Crown Game is also good. Thanks, Carl! 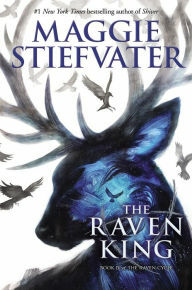 The Raven King looks amazing, doesn't it? It reminds me of Six of Crows, from 2015. The Crown Game looks fabulous, too, but I am a little bit biased. . . it reminds me of Russia, and I would love to visit there again. Thanks! : ) I let my 8-year-old vote (although she's too young to read these books!) and she likes The Raven King best, too! We didn't sway her vote, either! Okay Readers! If you had to vote between The Raven King and Rebel of the Sands, which would it be? And how many of you are planning to read the books when they come out? Thanks!